Perry Homes! One Story Luxury Ranch Home! All Brick! Energy Star Rated! 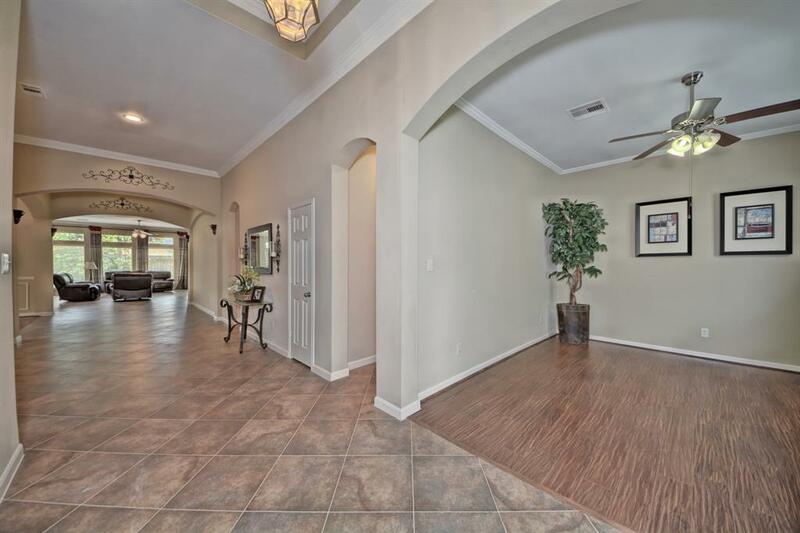 Grand Entry W/High Coffered Ceilings, Crown Molding, Large Tile Floors! Study W/Wood Floors & Crown Molding! Elegant Formal Dining W/Wood Floors, Walls of Windows for that Natural Light! Media Rm For Family Entertainment! Grand Family Rm W/High Ceilings W/Crown Molding, Cast Stone Fireplace, Large Tile Floors & Wall of Windows! 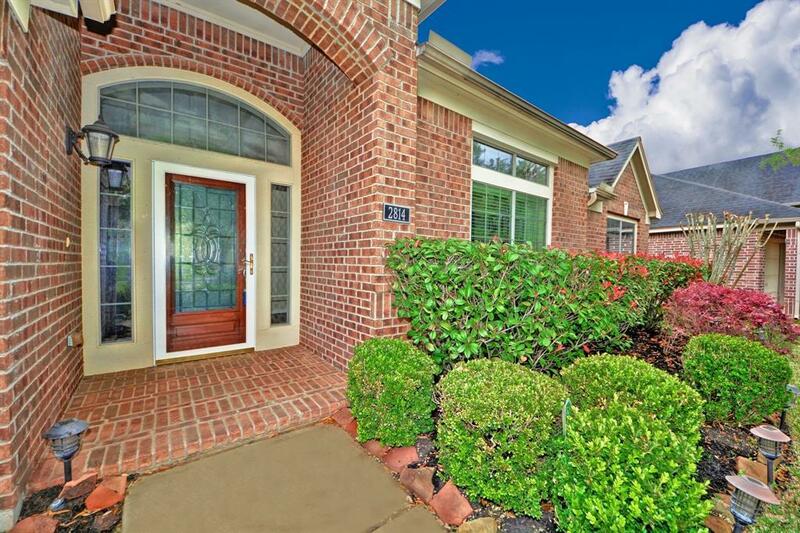 Grand Family Rm open to Gourmet Kitchen & Casual Dining Rm W/Large Tile Floors! 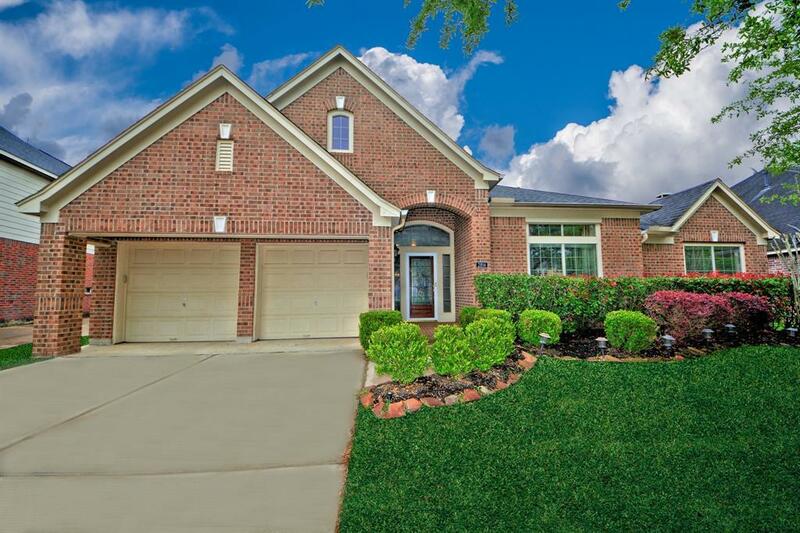 Gourmet Kitchen W/Beautiful Tall Custom Cabinets, Mosaic Tile Back-Splash, Built In Appliances, Granite Counters, Huge Eat-In Island W/Deep Stainless Steel Under-Mount Sink & More! 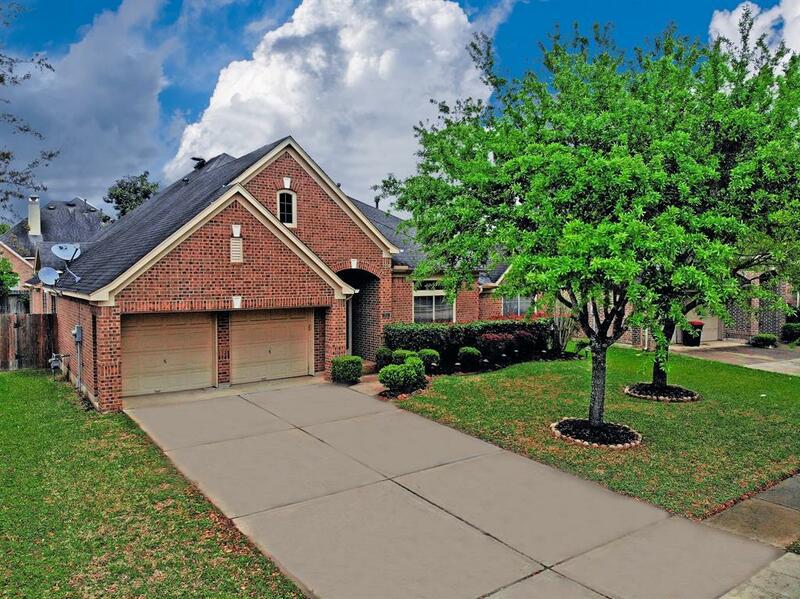 Master W/High Vaulted Ceilings trimmed W/Crown Molding, Wood Floors, French Doors leads to Luxurious Master Bathrm W/Tile Floors, Fameless Glass Shower, Soaker Tub, His & Her Sink Vanity & Large Walk In Closet! Guest Bedrm W/Private Vanity! 3 Full Bathrms! Home did not Flood! Amenities: Resort-style pool, splash-grounds & more!